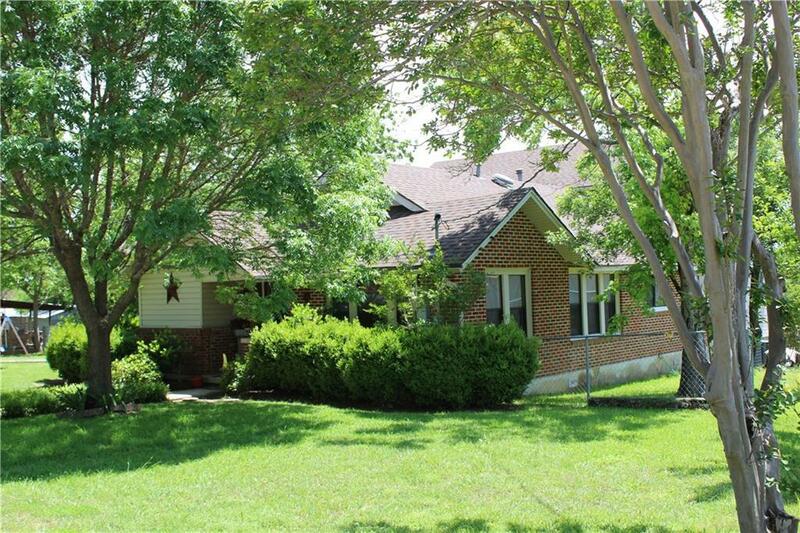 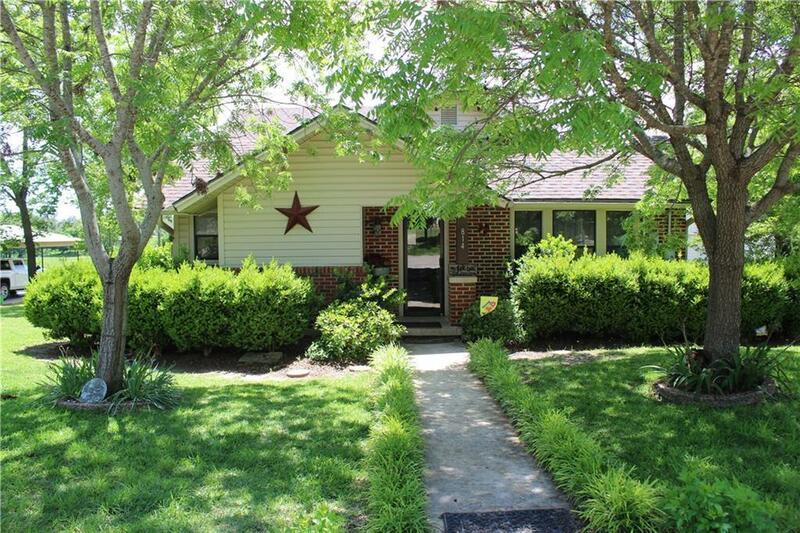 This charming home over looks a 9 ac gov lake. 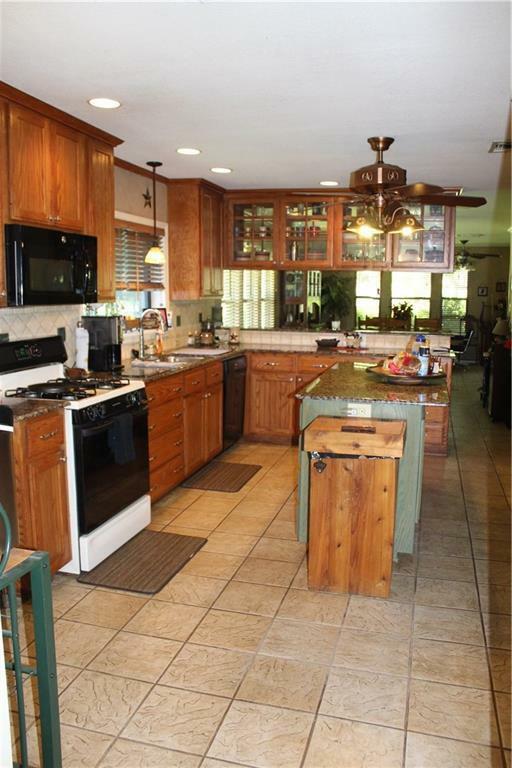 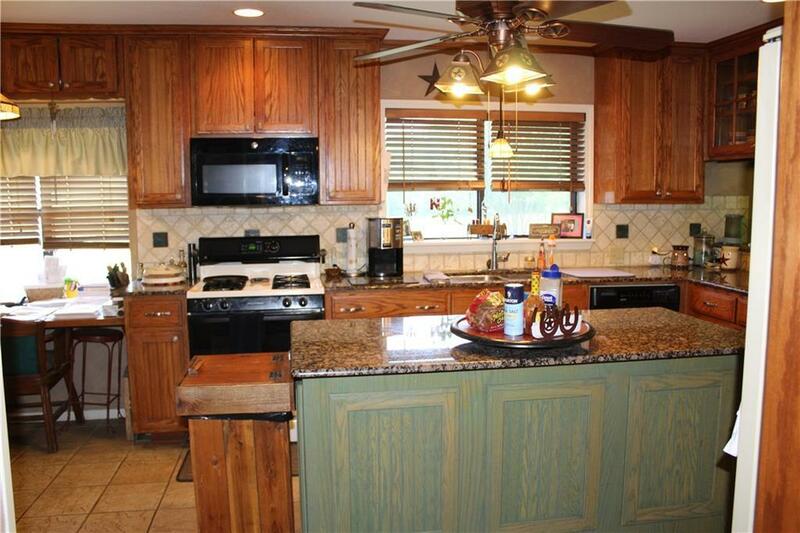 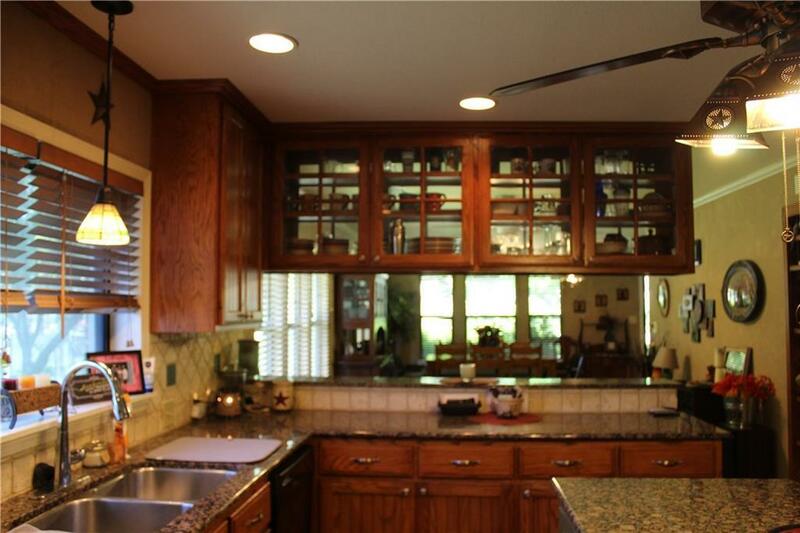 Kitchen has oak cabinets, granite counter tops, breakfast bar, island & pantry. 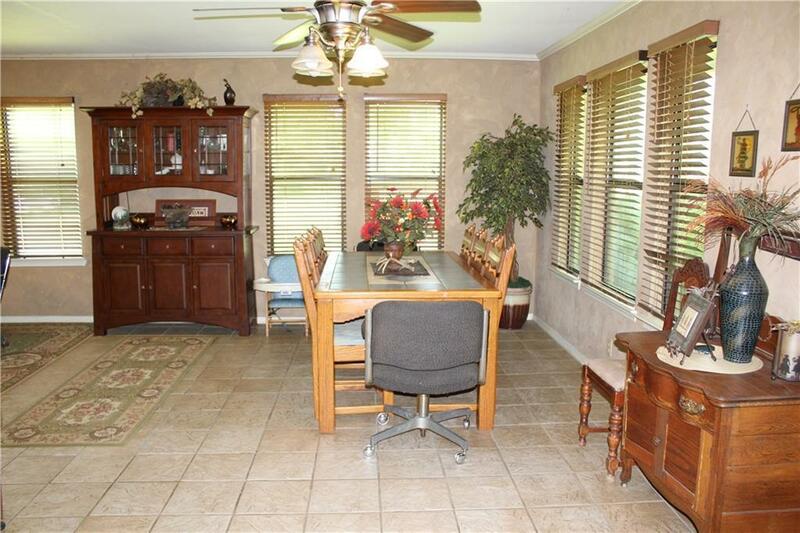 Living room open to the kitchen and dining room, office area, separate den. 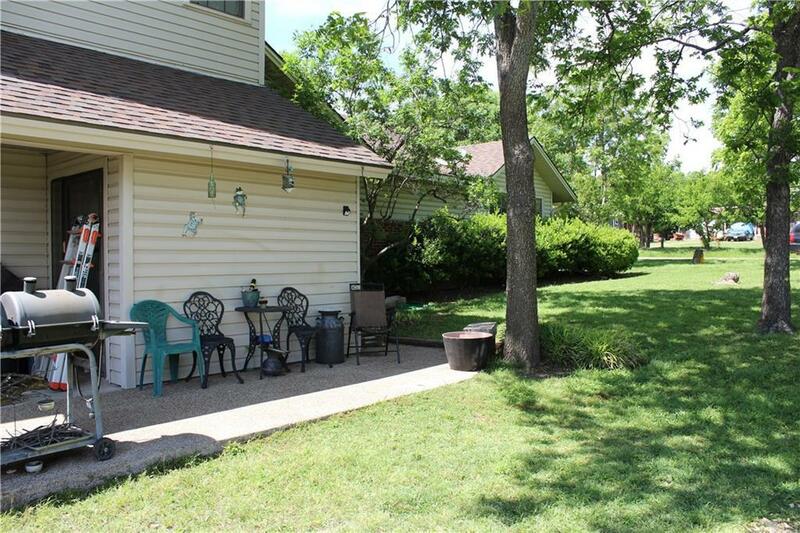 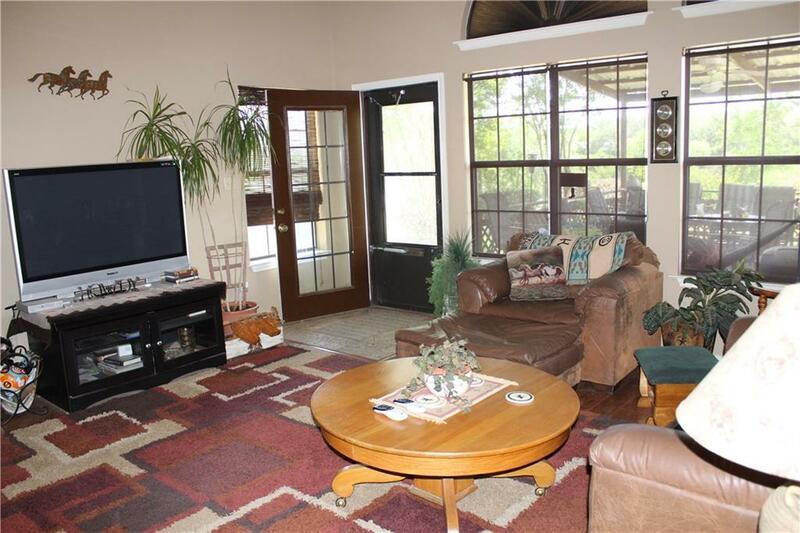 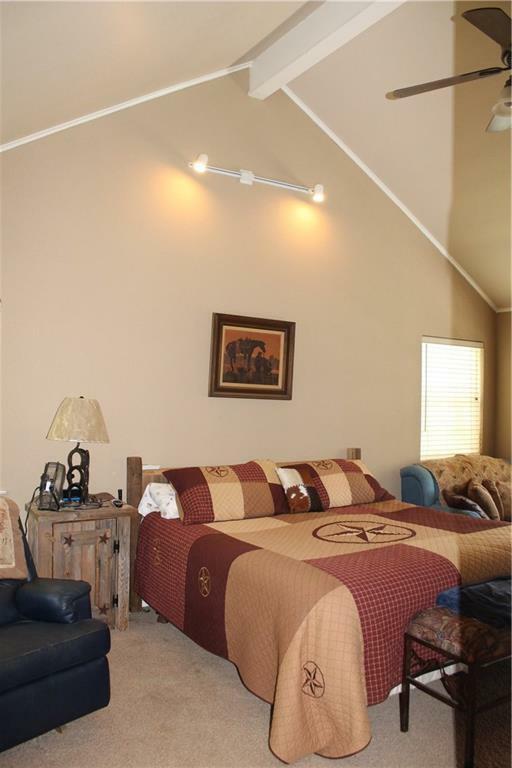 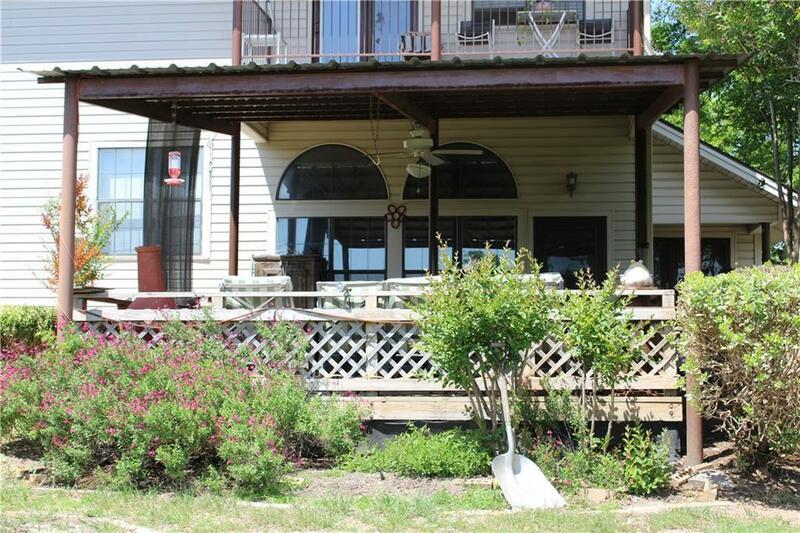 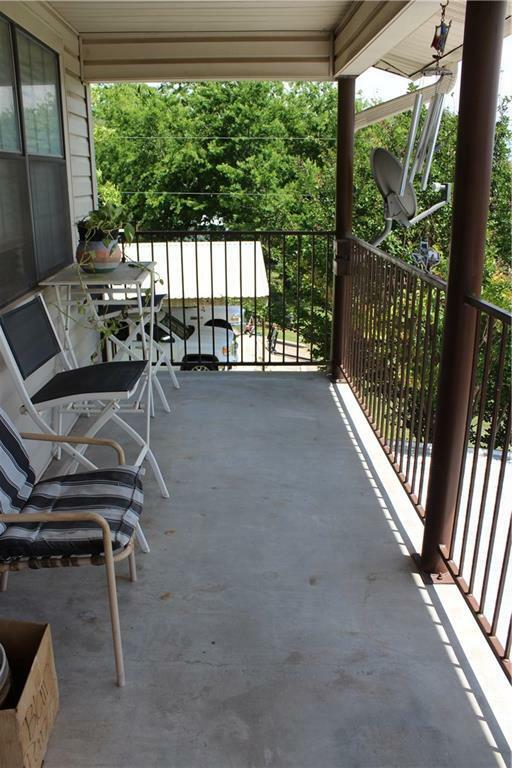 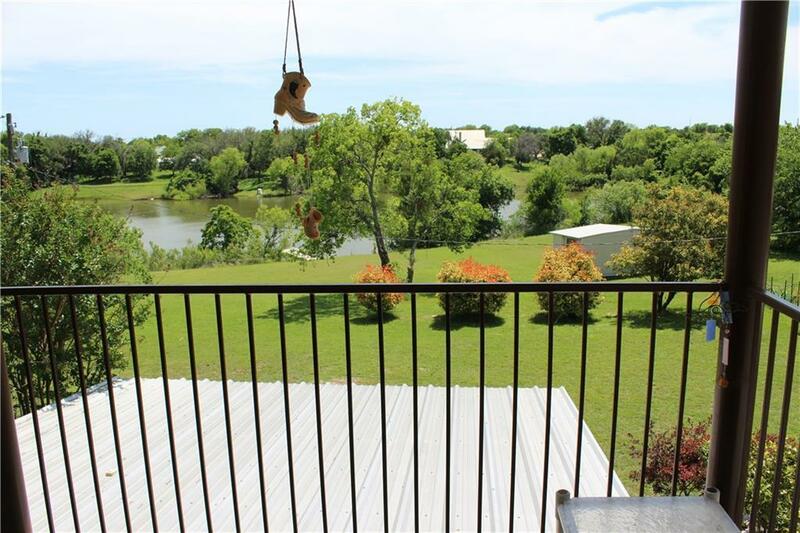 Private upstairs master suite with doors open to balcony overlooking the lake. 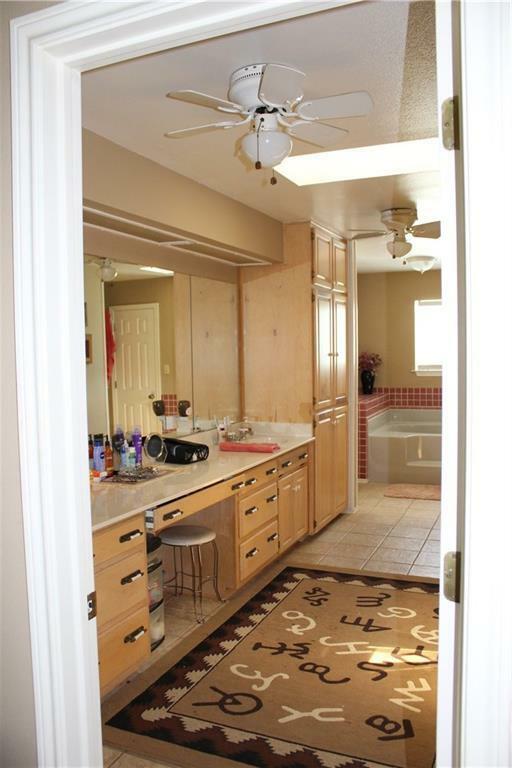 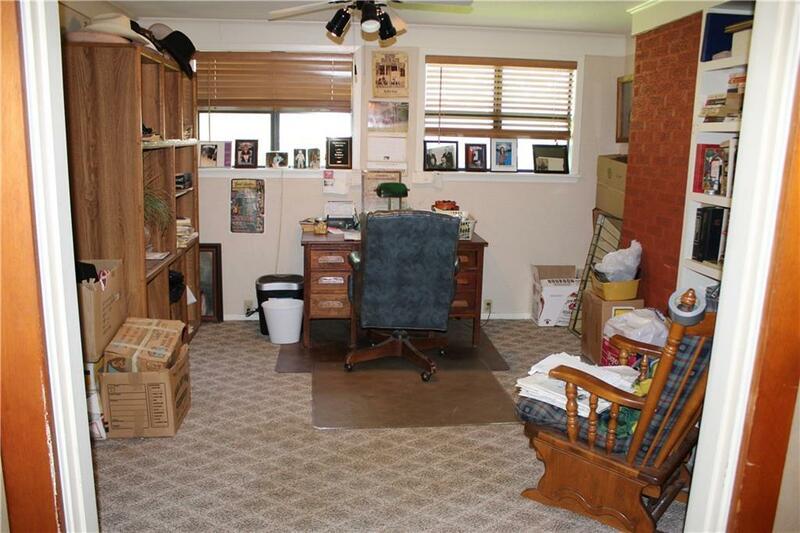 Spacious maser bath, jaccuzi tub, separate shower, his & her closets. 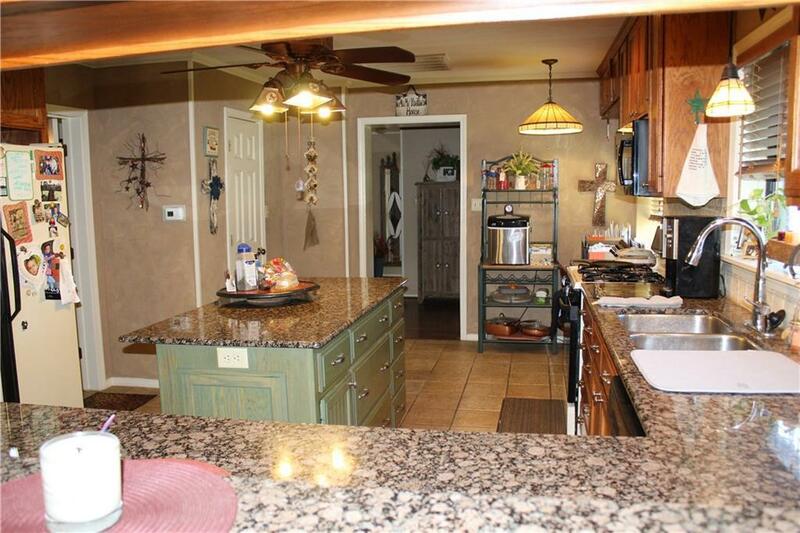 2 bedrooms with Jack & Jill bath. 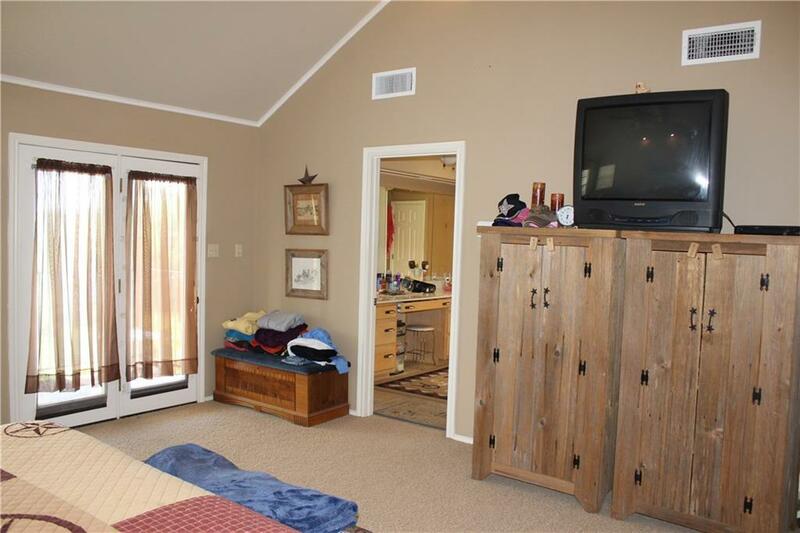 4th bedroom with bathroom in the hall. 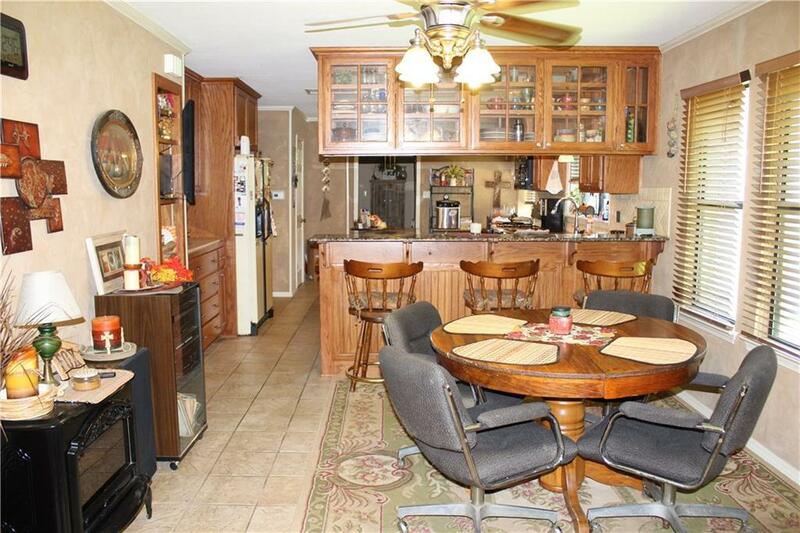 Utility room with sink and room for extra fridge or freezer. 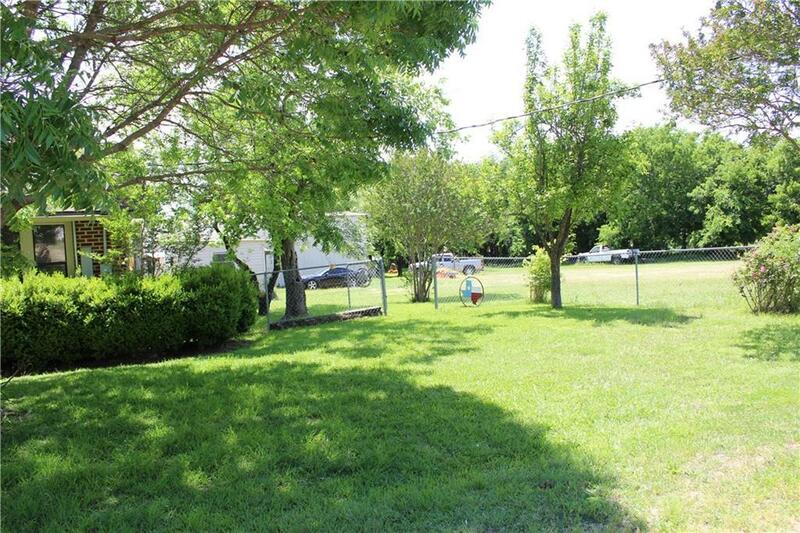 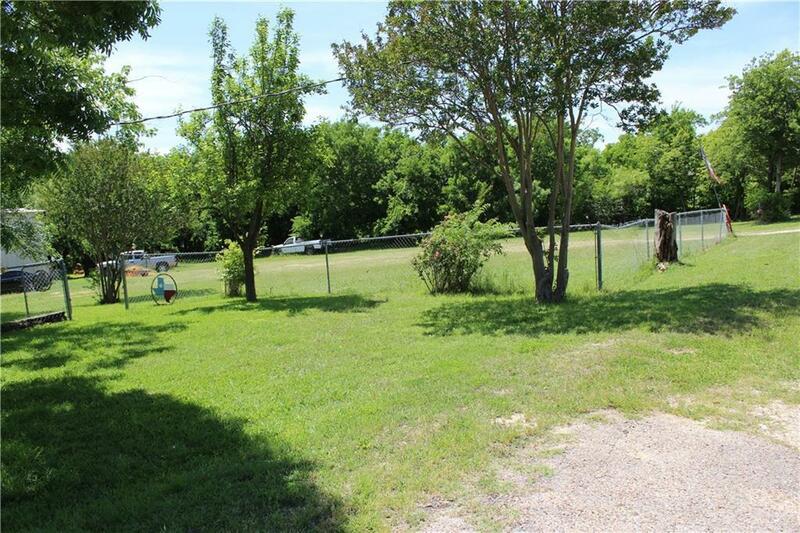 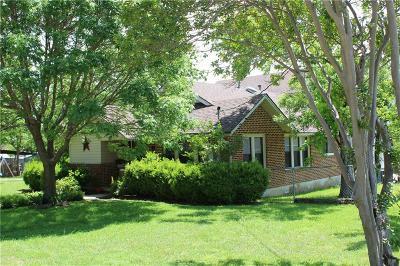 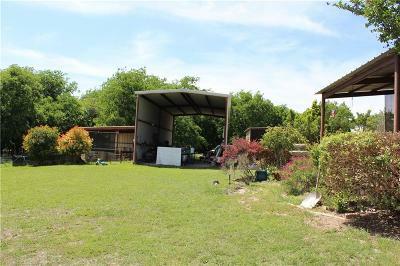 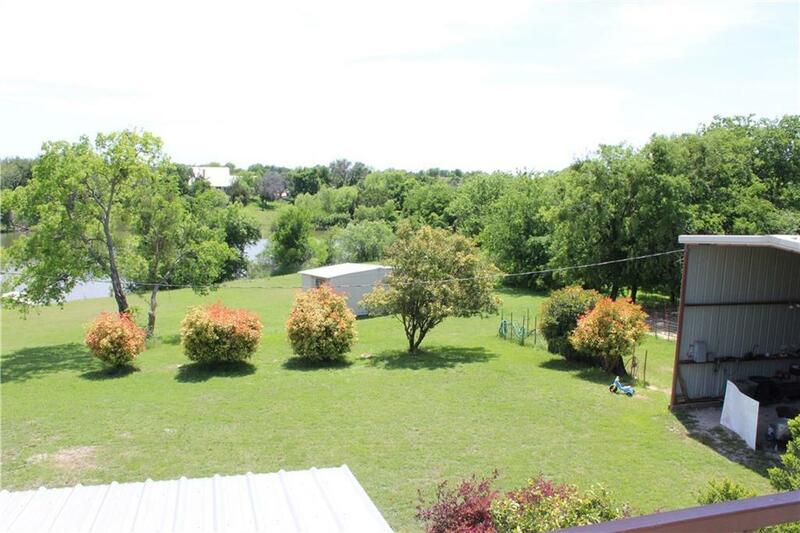 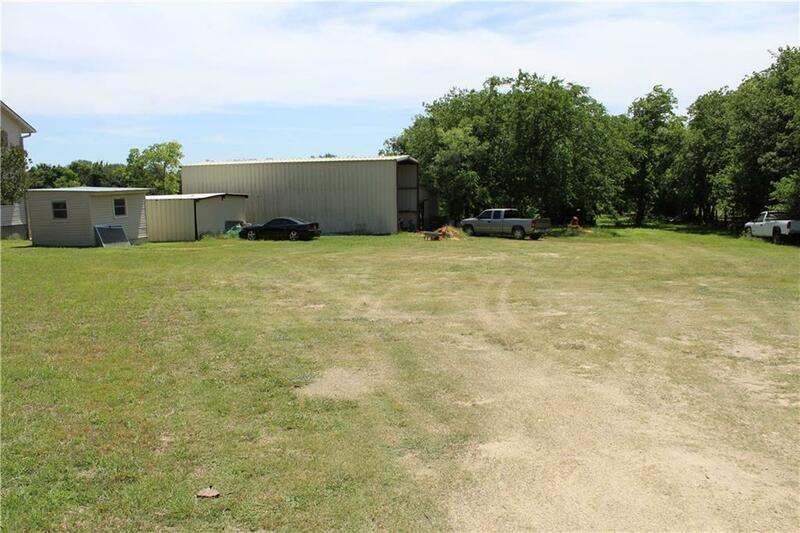 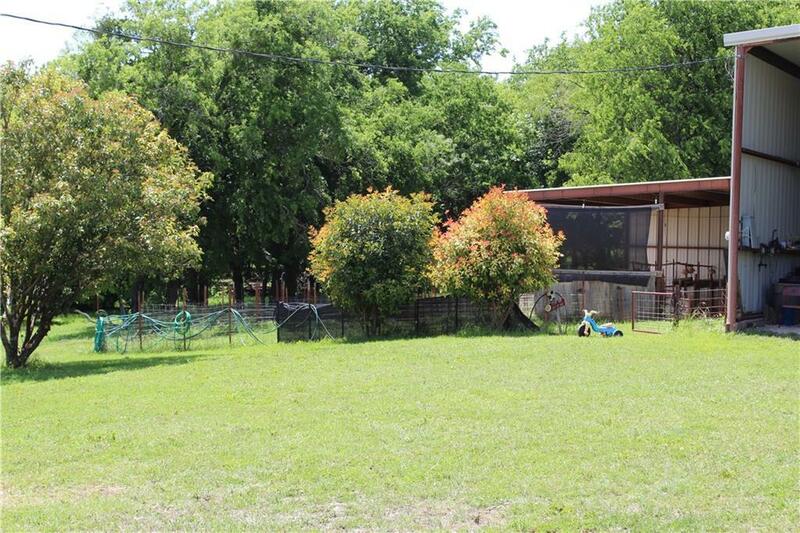 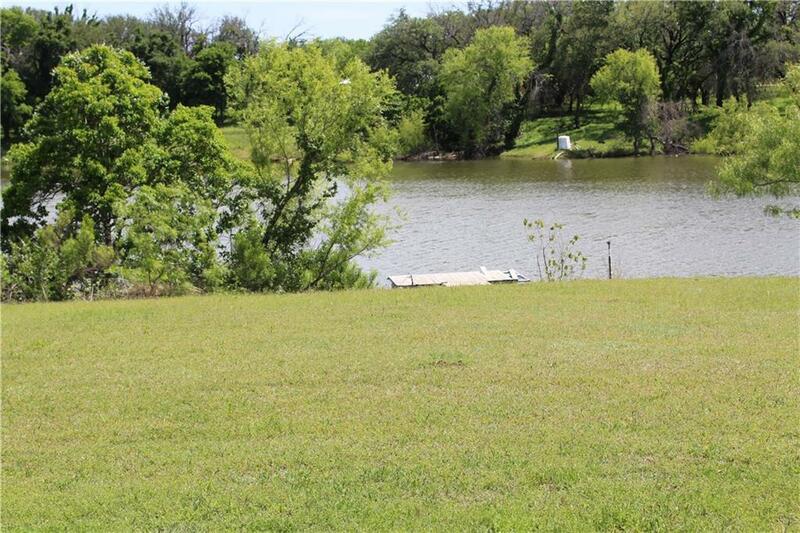 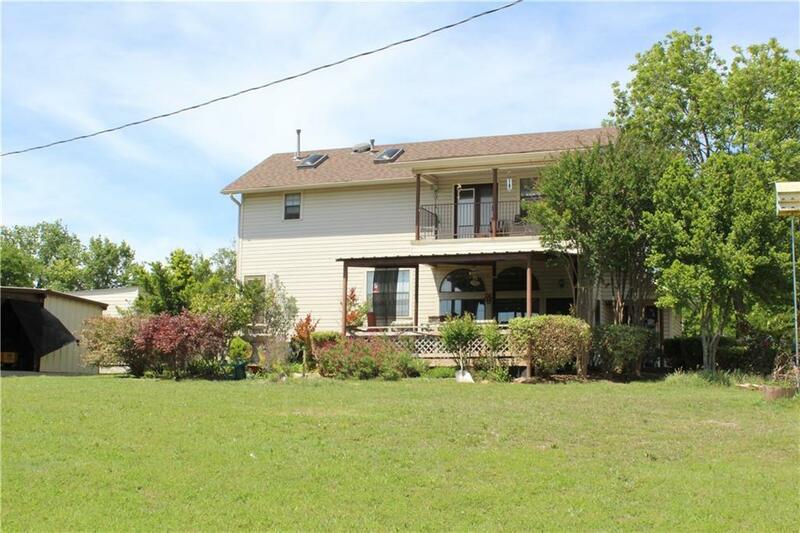 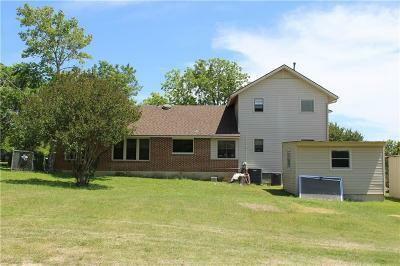 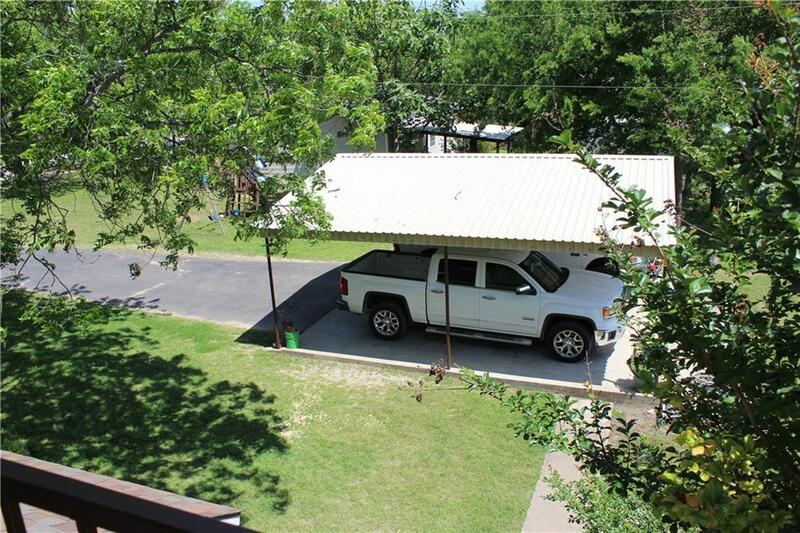 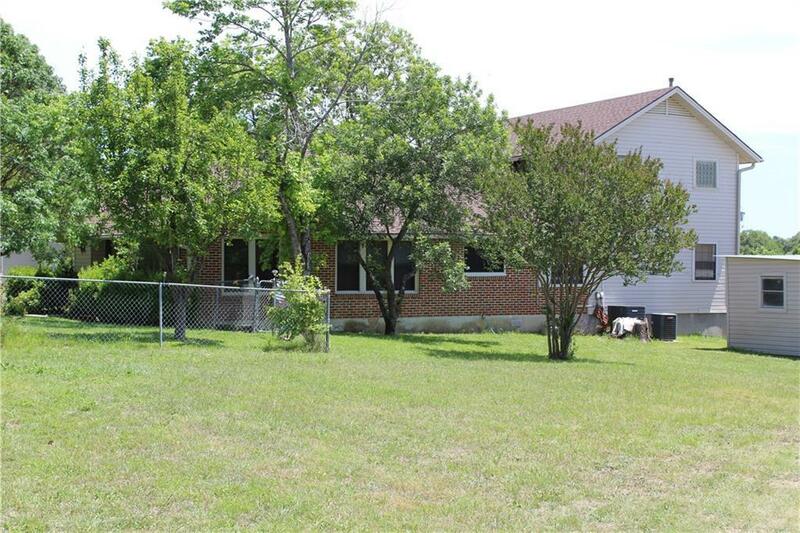 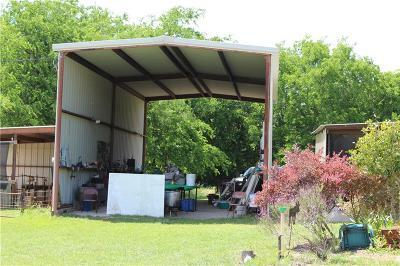 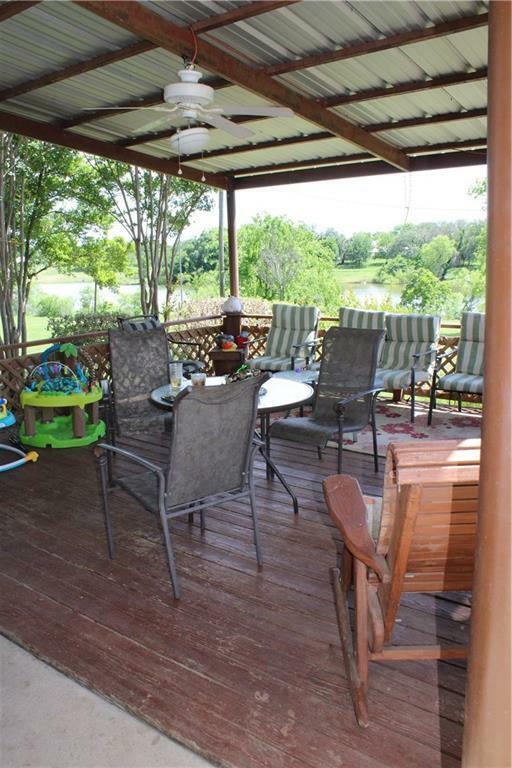 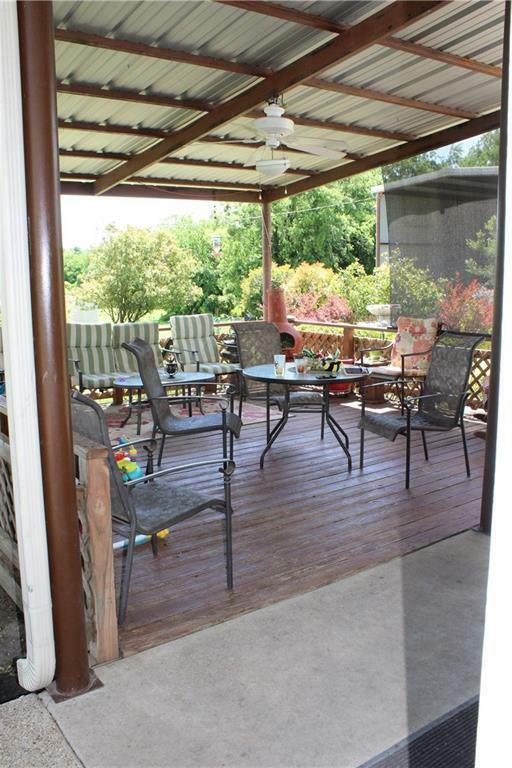 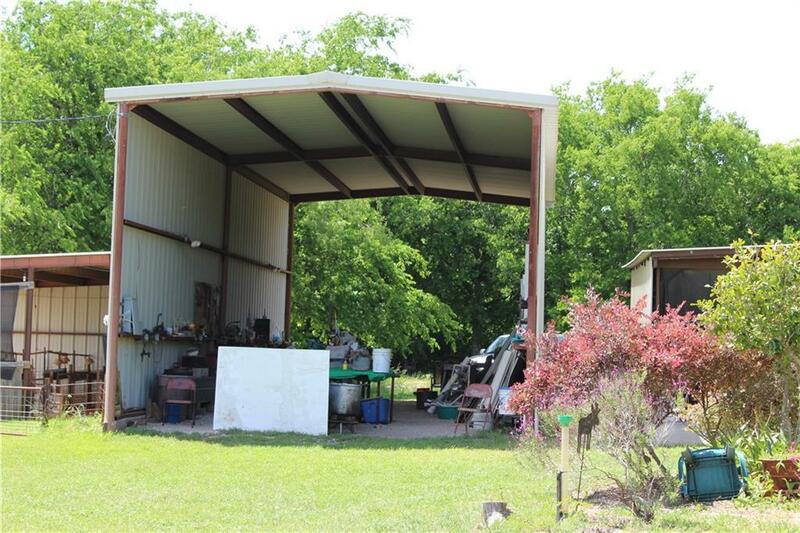 Established landscaping, covered deck, 2 storage buildings with 1 having electricity, RV storage, barn, & 2 car carport. 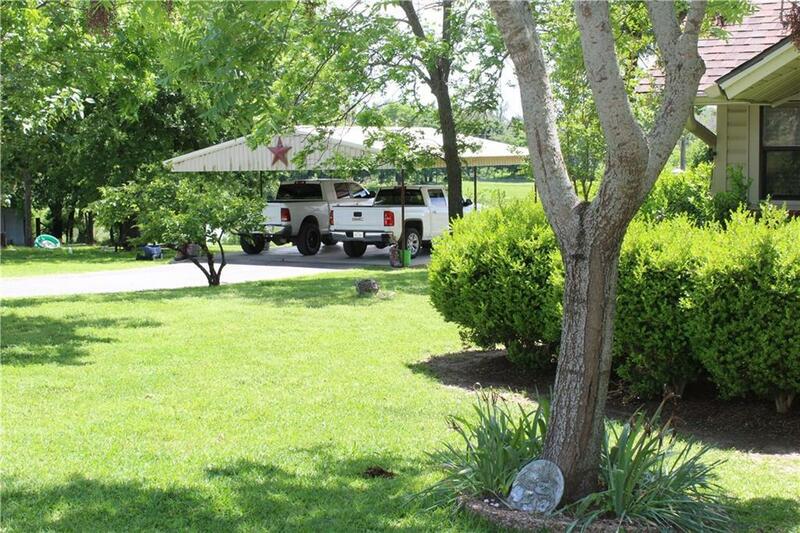 Nice trees for shade.